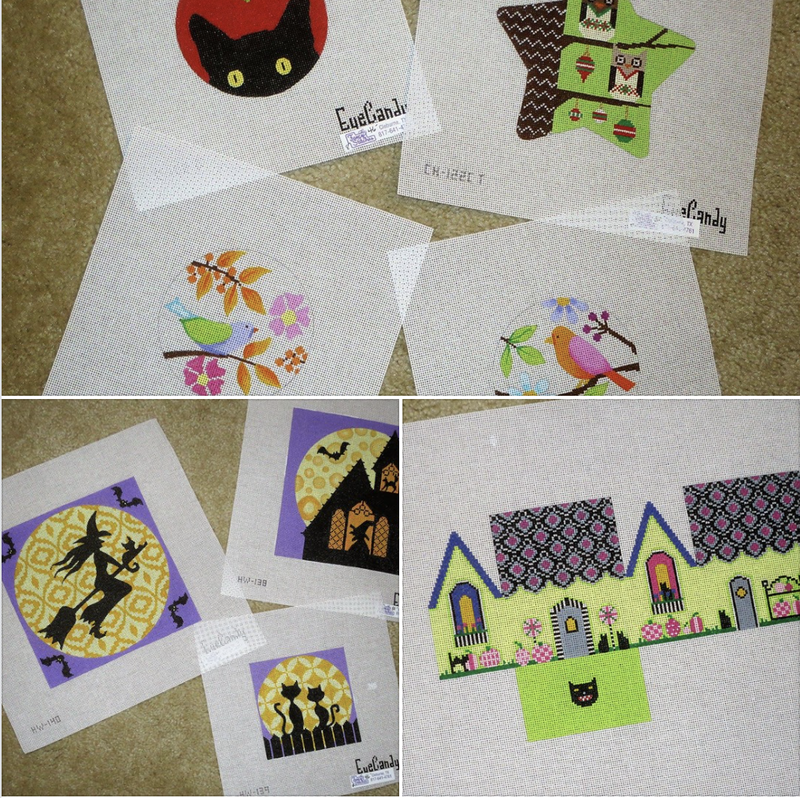 EyeCandy Needleart: Local Needlepoint Shop Day! Today is Local Needlepoint Shop Day! I hope you do have a shop near enough to visit to see all the new EyeCandy canvases in person! Thanks to Fancy Stitches for sending me a picture of some of their haul from market! Gorgeous Finish of So Happy! New for Fall 2018 From EyeCandy!